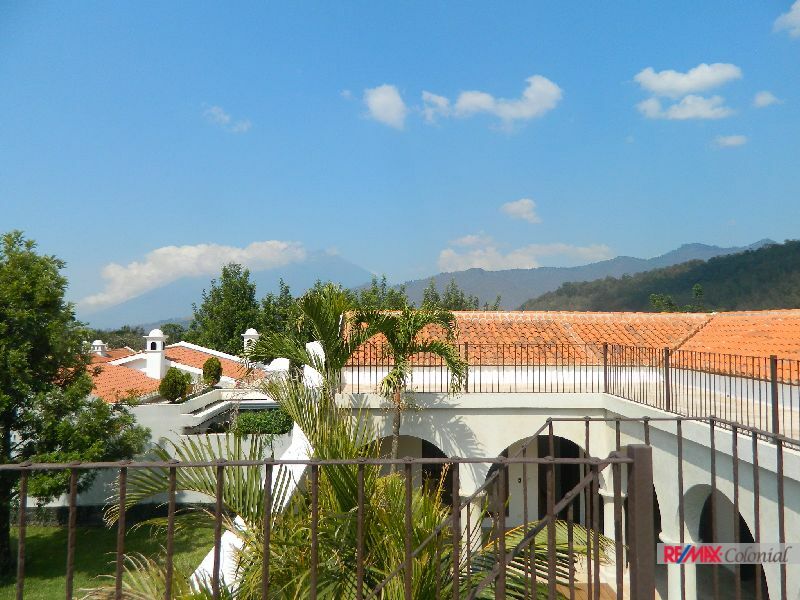 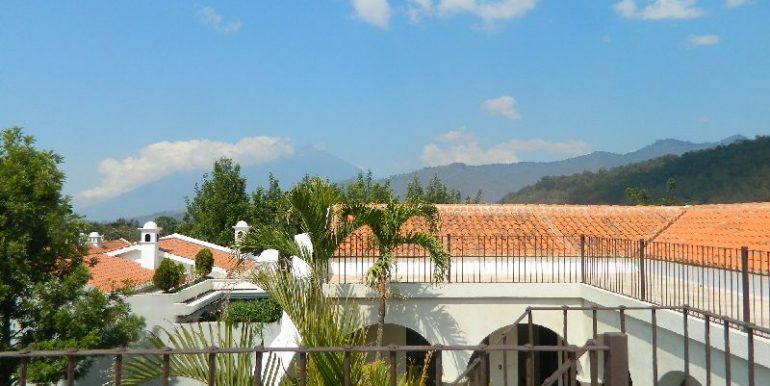 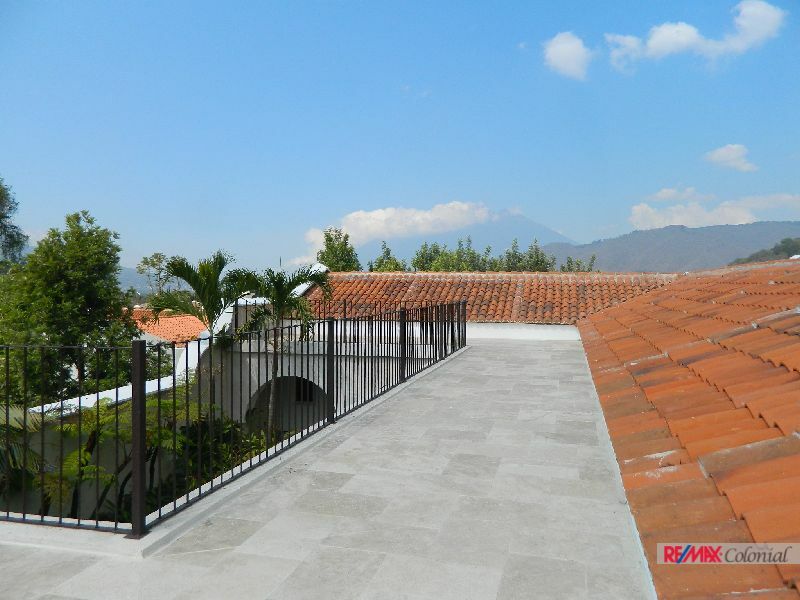 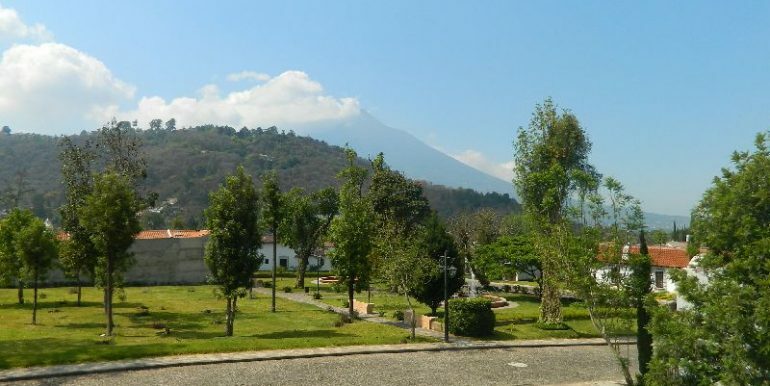 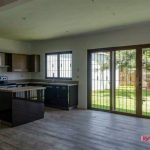 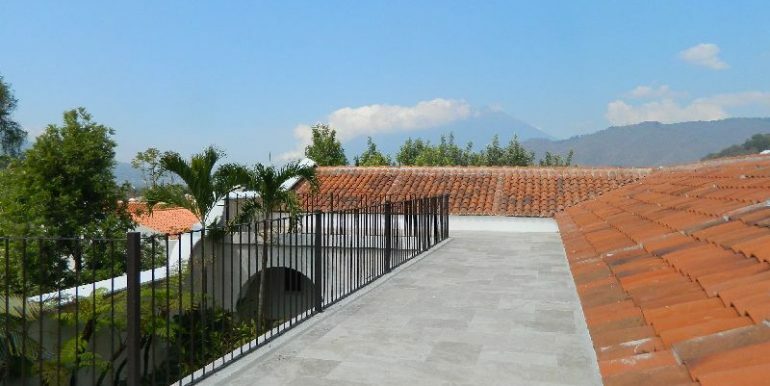 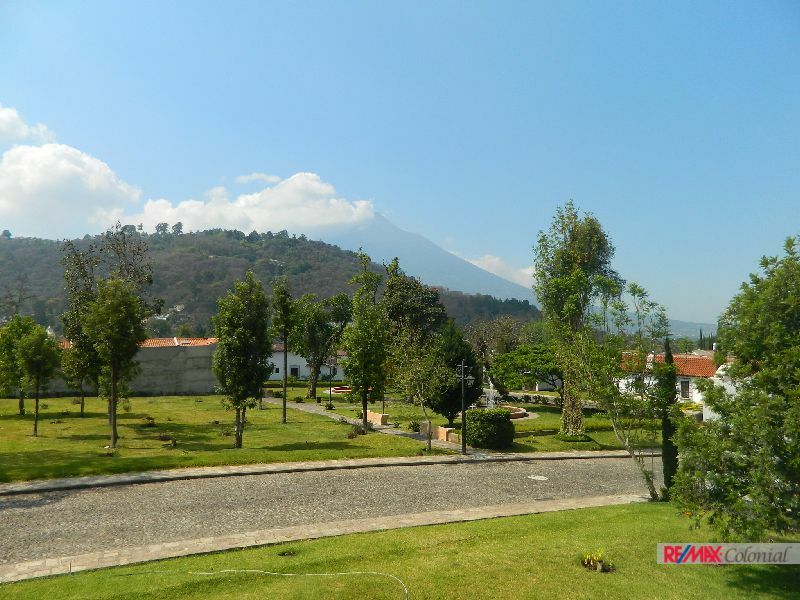 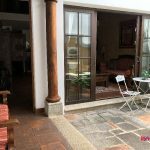 Casa Cartagena is a beautiful house that is under construction in one of the highest valued gated community in Antigua Guatemala. 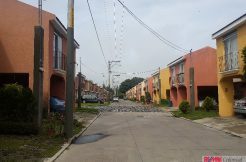 With high levels of security, green areas of great design, with a nice and quiet neighborhood. 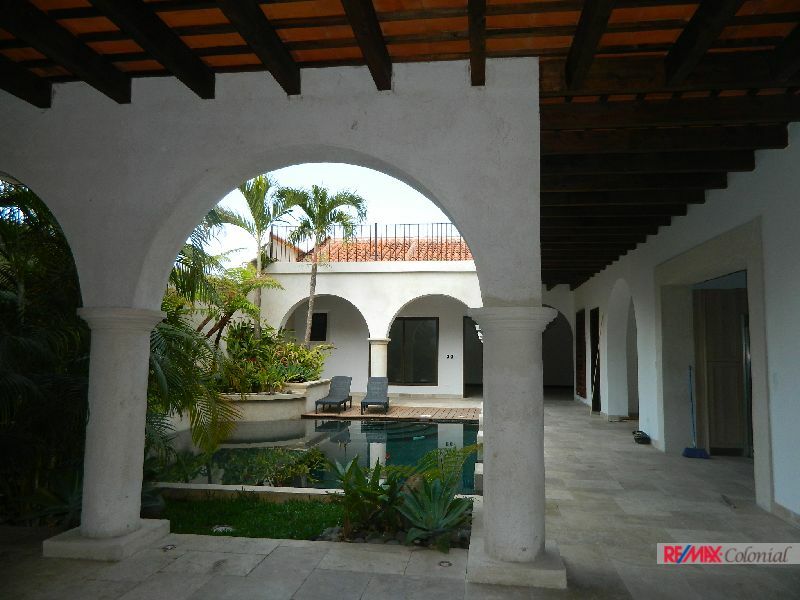 The house has four bedrooms with its own bathroom, garage, a large bedroom, a kitchen that imposes itself with its impressive dome. 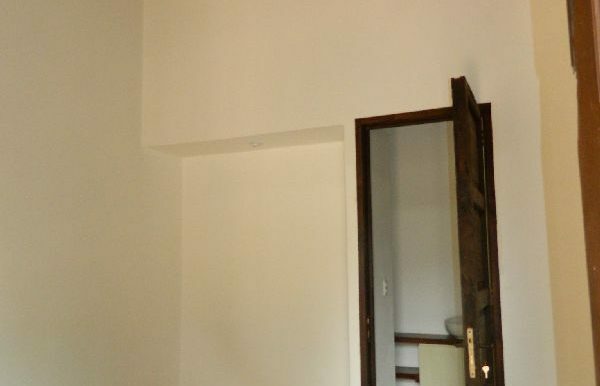 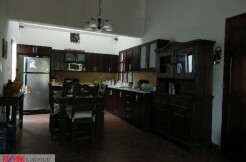 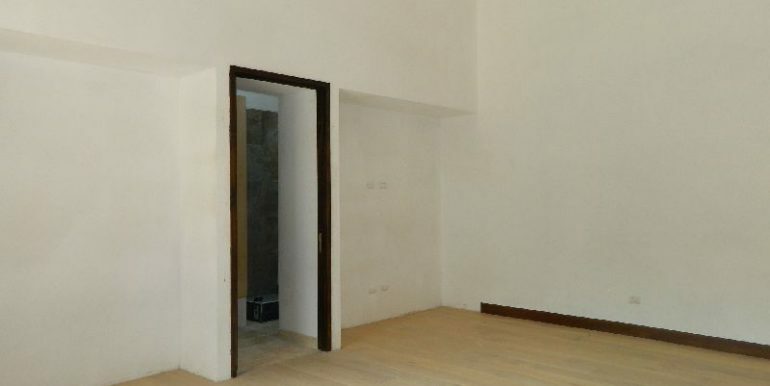 It shares a single room with the dining room, achieving a greater sense of spaciousness. 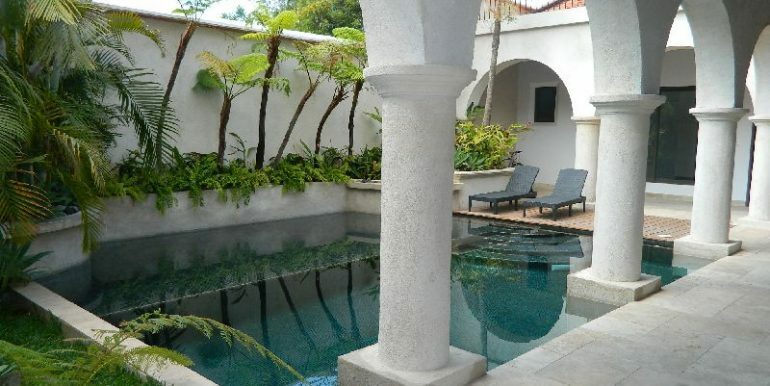 It will also have a laundry room, a guest bathroom with all rooms overlooking the pool that plays an stunning role in the heart of the house formed by three mirrors of water, with a terraced vase and interior gardens, which can also be appreciated from their wide corridors. 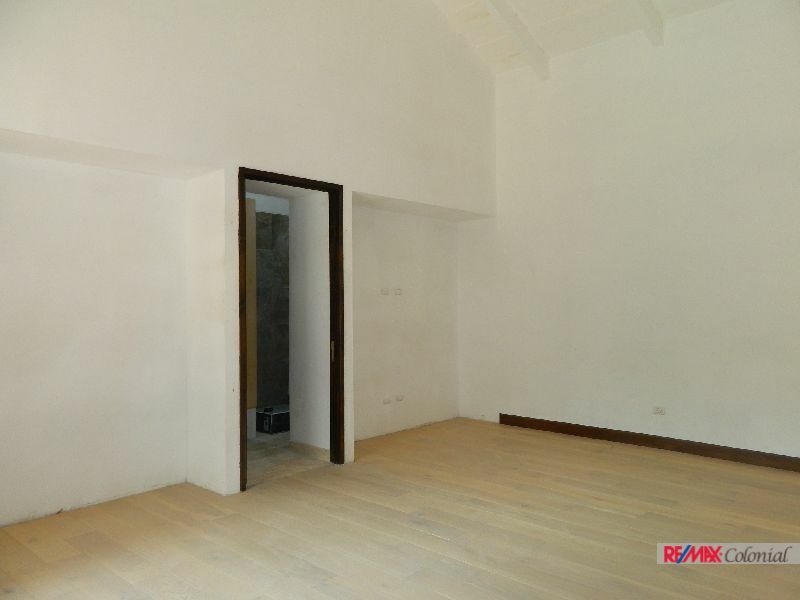 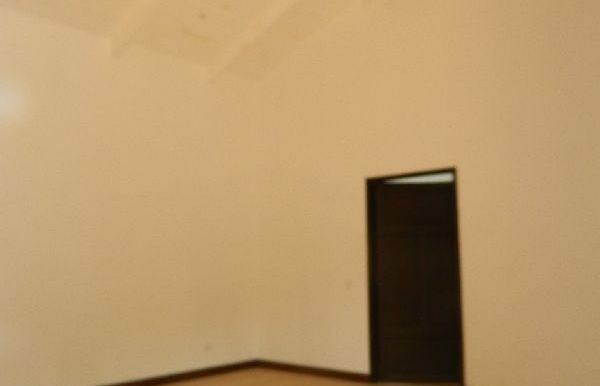 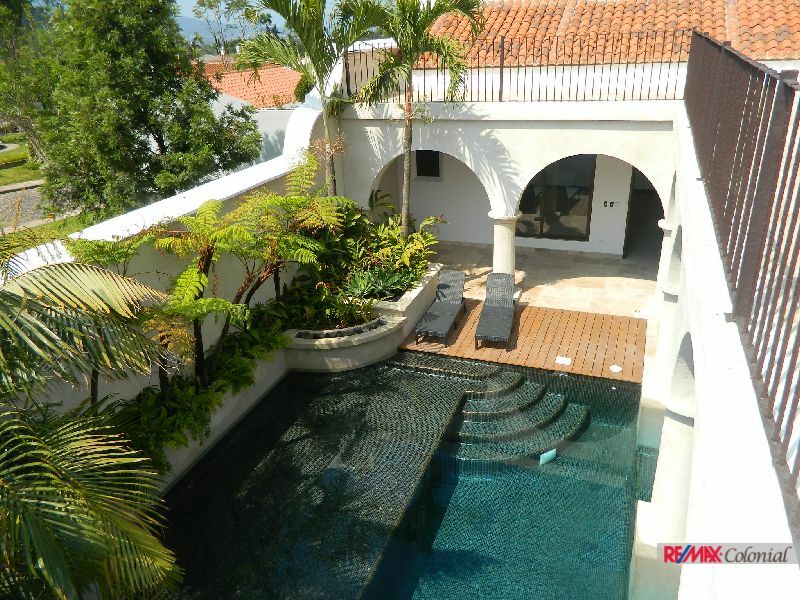 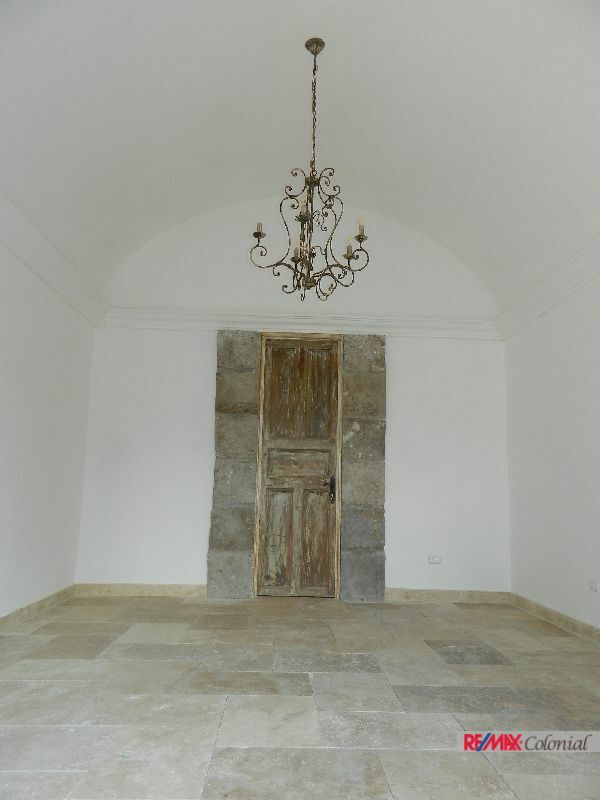 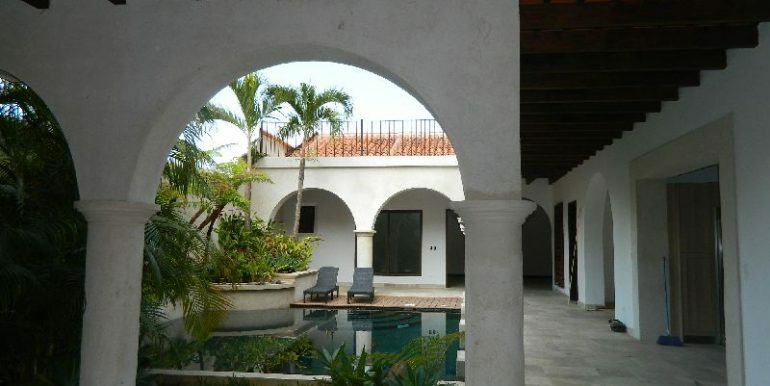 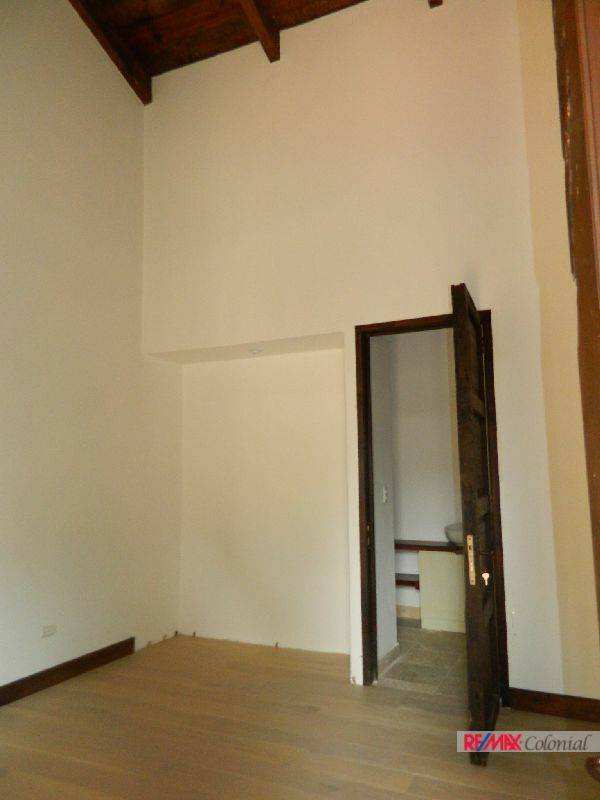 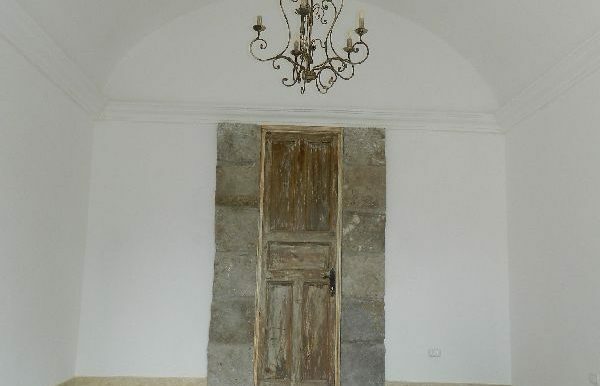 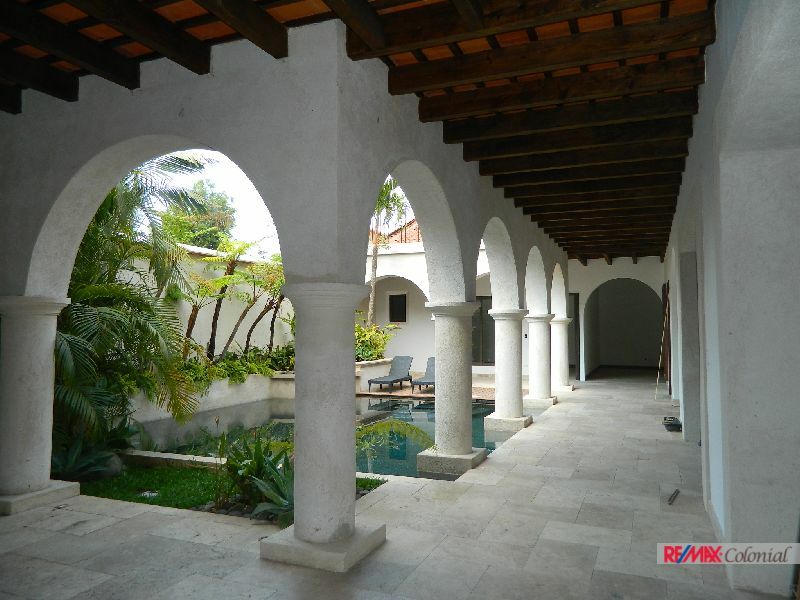 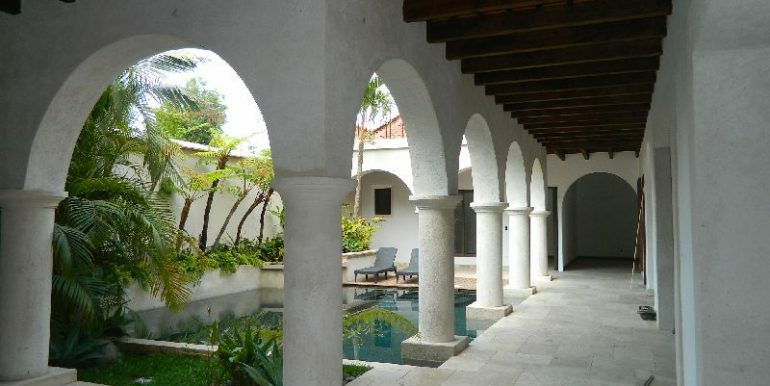 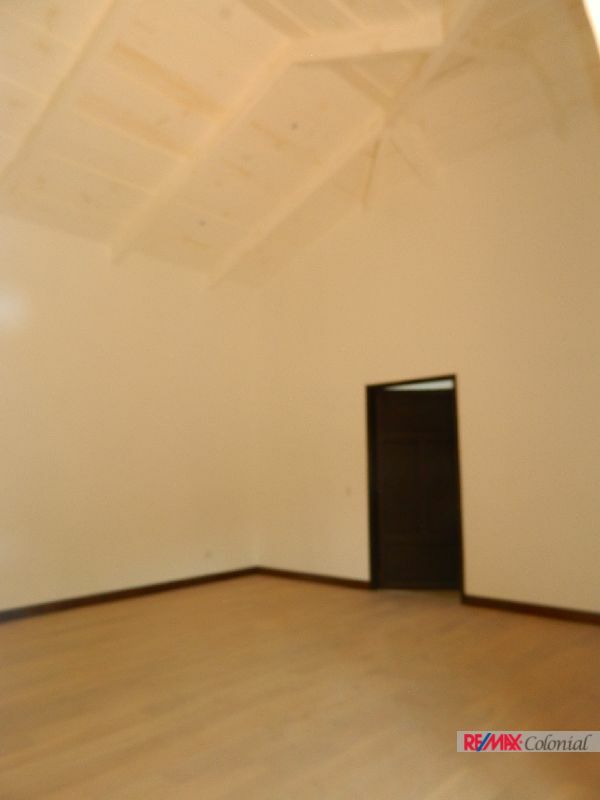 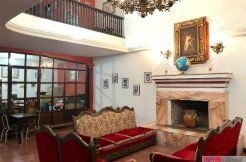 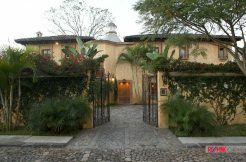 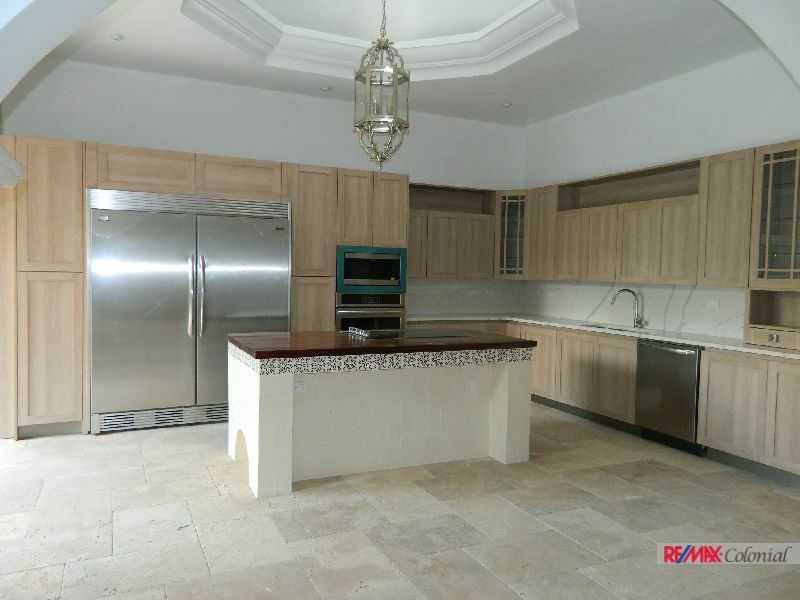 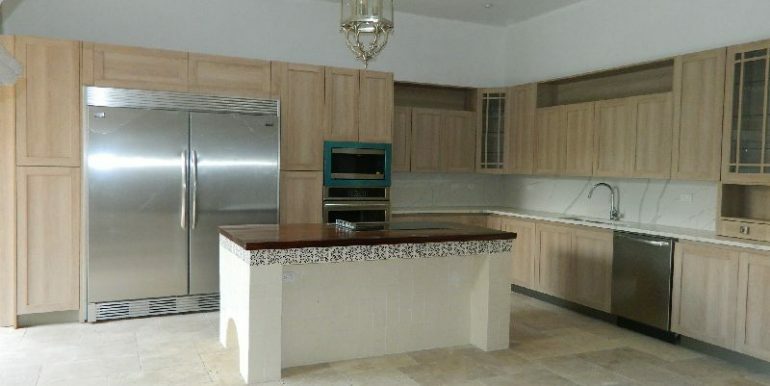 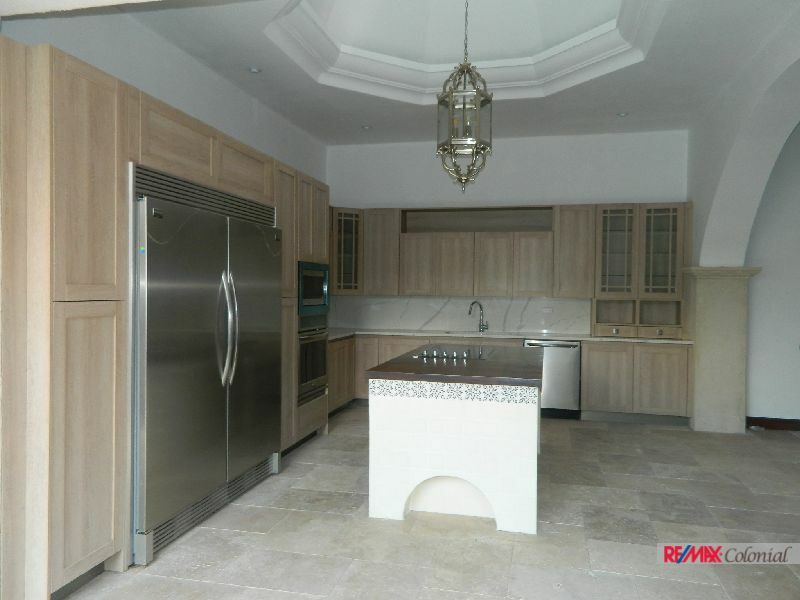 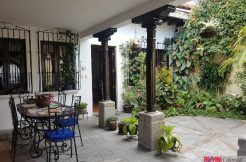 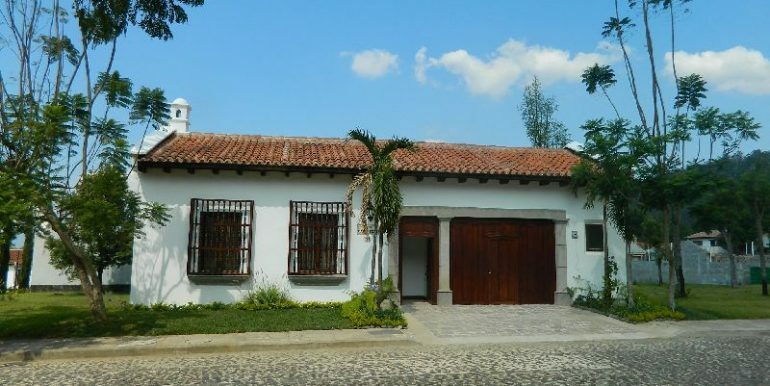 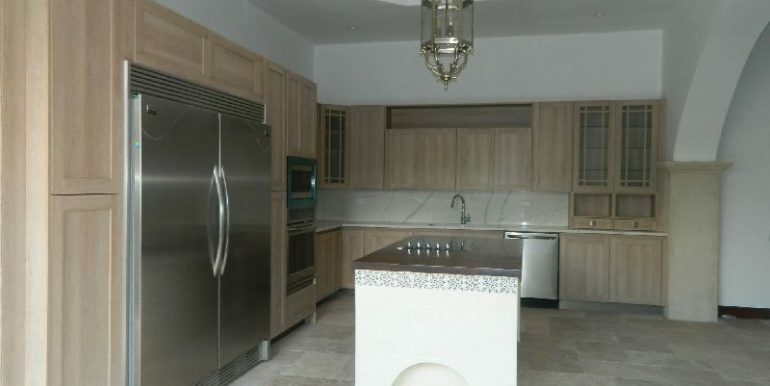 No detail has been left to chance, the construction is on one floor, the double height ceilings , the Spanish terrace, the coffered ceilings, the wrought iron, will make you feel all the tradition and comfort in the purest Antigueño style, with some modern touches that add elegance to your home. 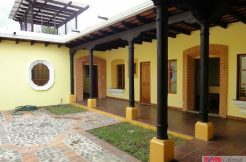 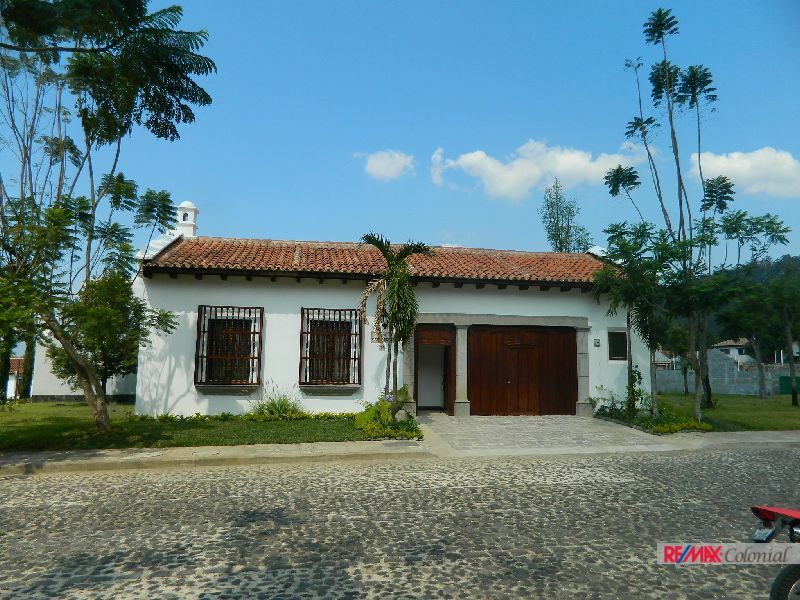 If you are looking for a house that offers the warmth of the Colonial City, with a touch of modernity, do not hesitate to call us. 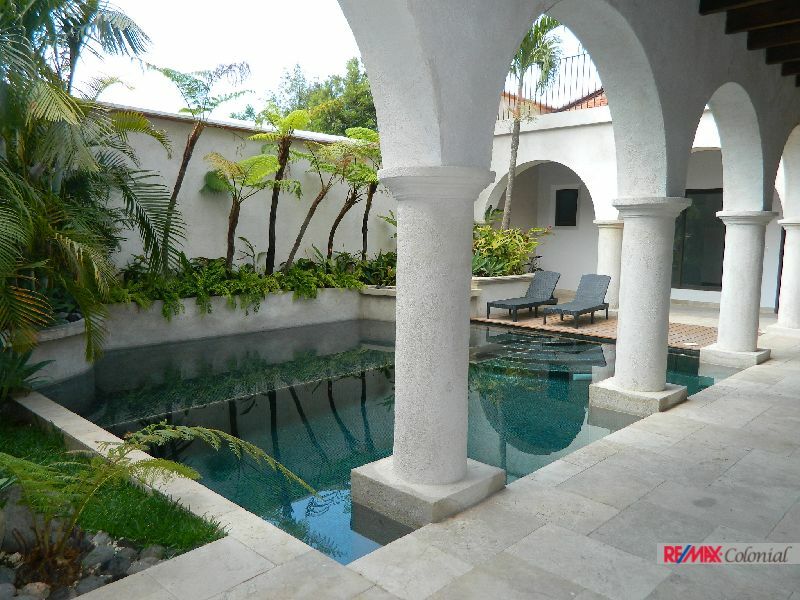 Make an appointment and get to know the house of your dreams.